“it is the intention of my Administration to deal directly with individual countries on a one-on-one (or bilateral) basis in negotiating future trade deals. Trade with other nations is, and always will be, of paramount importance to my Administration and to me, as President of the United States. Global media outlets, even free market groups and leaders called this act as "US protectionism" and I disagree with this assessment. The US, the EU, ASEAN countries, all other countries in the planet have their own sets of protectionism, usually in the form of non-tariff barriers (NTBs) or non-tariff measures (NTMs). But withrawal from a regional free trade agreements (FTAs) = protectionism? The purpose of regional FTAs is to have free trade, freer mobility of services/people among member-countries in the region while retaining or expanding protectionism to non-member economies. 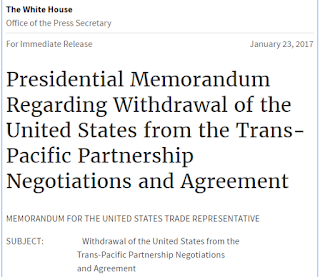 Thus, the Trans Pacific Partnership (TPP) is free trade, zero tariff among the 12 member countries across the Pacific but not to other countries outside the agreement. I see four implications of this move by Mr. Trump. Papers by Dr. Ramon Clarete of UPSE, Dr. Cesar Cororaton (formerly with PIDS, now in a US university) have computed the trade diversion effect. 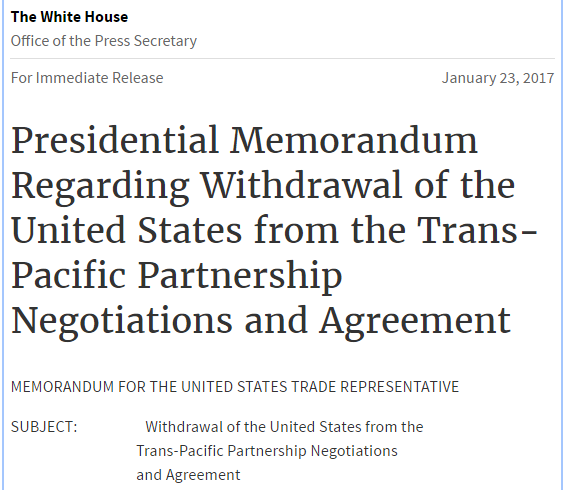 Something like -0.3 to -0.6% of potential GDP reduction in Asian countries not part of TPP. 3. More countries will realize that they need to push the multilateral, global free trade agenda under the WTO, instead of creating or expanding regional FTAs. If they can't do (a) multilateral free trade or (b) regional free trade, then (c) unilateral trade lib will become more attractive to them. ASEAN countries have done this step, across the board reduction in tariff even for non-ASEAN countries, but not towards zero tariff though, unlike SG and HK. 4. Japan will be pushed to the front to lead the TPP, http://www.wsj.com/.../japan-to-keep-pushing-free-trade....While China will continue pushing for RCEP, much bigger than TPP. So, does stepping back from a regional FTA like TPP automatically means protectionism? If yes, how to explain HK which does not seem to belong to any regional FTA in the planet except with China, and HK is the most free trade economy in the world? Stepping back from a regional FTA (TPP, TTIP, EU, NAFTA, AFTA, MERCUSOR, etc) may mean expanding free trade with more countries outside the region. Of course it may also mean further protectionism. Bilateral FTA means that trade deals will be customized with each country's security and diplomatic offers or services. I think this means that there will be more trade and business diplomacy, less military/climate/political diplomacy. The top US diplomat, State Sec, is a big businessman, not big politician or big foreign affairs bureaucrat. BWorld 110, Should we go federal or not? * This is my article in BusinessWorld last February 02, 2017. Whether to move from devolved unitary to a formal federal state, this is among the big political questions in the Philippines today. 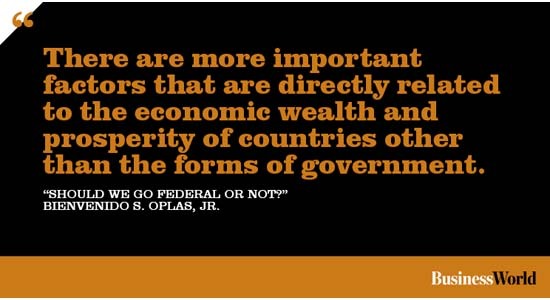 There are two related questions here: (1) If federalism is the answer, what is the question? (2) if federalism is not the answer, is a reformed devolution the solution? The first question I borrowed from a big forum several months ago from my alma mater, the UP School of Economics. The second question is my reformulation of the arguments by the anti-federalists. By definition, federal states are those whose national governments share power with semi-independent or semi-autonomous regional or provincial governments. To further contextualize the national debate, let us view some global data about federal states compared to non-federal states. 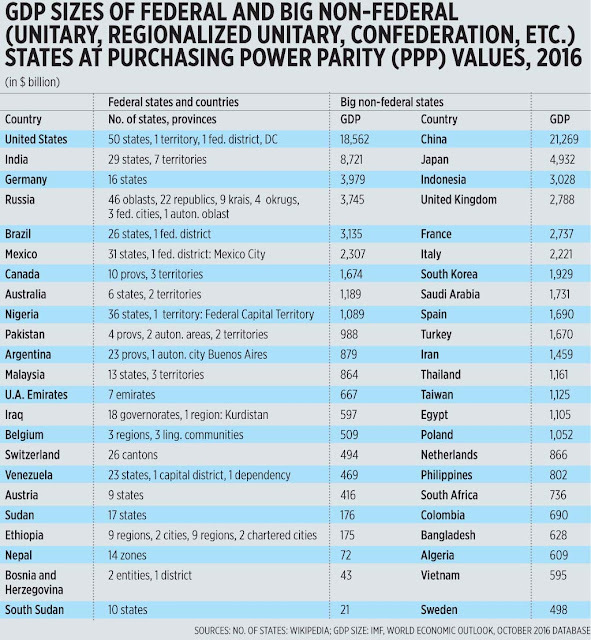 Other federal states and economies that are too small (GDP size less than $1B) and not included in the list are Saint Kitts and Nevis, Comoros, and Micronesia. The above numbers tell us that while there are huge and rich federal economies like the US, Germany, and Canada, there are also huge and rich non-federal economies like Japan, United Kingdom, and France. And there are many poor federal economies like South Sudan, Nepal, Ethiopia, Sudan, and Venezuela. So the promise of “more development if we go federal” is highly questionable. There are more important factors that are directly related to the economic wealth and prosperity of countries other than the forms of government like federalism vs. unitary, presidential vs. parliamentary, centralized/socialist vs. decentralized. And those factors always include the rule of law, the sanctity and respect for laws, laws that apply to both rulers and ruled, to both governors and governed. A debate on federalism will take place on Feb. 2 at Vivere Hotel, Alabang. 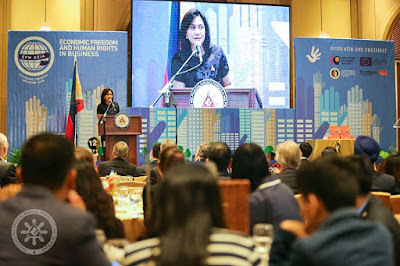 It is organized by the Rotary Club of Muntinlupa North, PCCI-Muntinlupa, both presided by Ms. Elvie Sanchez-Quiazon, and the Muntinlupa City government. The generally pro-federalism speakers will be Dean Pacifico Agabin of UP Law Center and Jonathan Malaya of PDP. The generally anti-federalism speakers will be Ambassador Hermenegildo Cruz, Prof. Gene Pilapil of UP Political Science Dept., and Solicitor General Florin Hilbay. Dean Ronald Mendoza of the Ateneo School of Government will also speak but he considers himself as more on the listening mode than being identified as pro- or anti-federalism. I will be there as one of two reactors. This role is cut out for me because I am agnostic about the issue, so I can listen more to the two camps with no personal bias. My bias is towards disintegration of huge countries -- huge population, huge land area -- into newer countries, to accommodate competing cultures and political and religious beliefs. Consider Brunei with only 0.4M people, Maldives with only 0.5M, and Bhutan with only 0.8M people. They are fine as countries, they have their own currencies, tax system, national governments, international airports, etc. Contrast with huge countries like China, India, Russia, USA, Brazil, Indonesia, Mexico and the Philippines. The US in particular and its 320M people remain heavily divided for many months now over the Trump candidacy and presidency. The idea of initiating a secession of their states from the US like the California exit (“Calexit”) was revived again by some quarters. If I were to answer the two questions above they will go like these: (1) If federalism is the answer, then the question is who are the better central planners, the national or regional/provincial planners? (2) If federalism is not the answer, then having rule of law and limited government is the more appropriate solution regardless of the form of government. 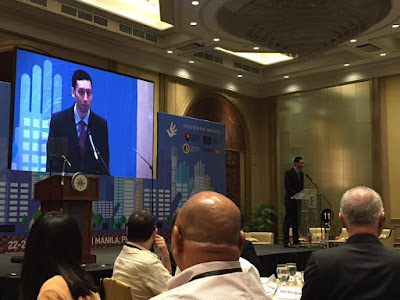 Bienvenido S. Oplas, Jr. is the head of Minimal Government Thinkers and a Fellow of SEANET. Both institutes are members of EFN Asia. 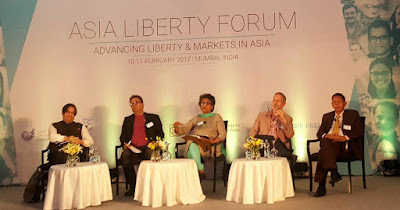 The Asia Liberty Forum (ALF) is an annual 2-days conference jointly sponsored by the Atlas Network (US), Center for Civil Society (CCS, India) and the Friedrich Naumann Foundation for Freedom (FNF, Germany). 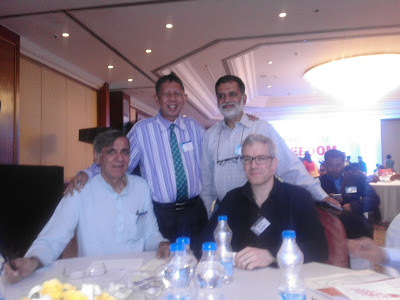 Five ALF events so far from 2013-2017 and I have attended the last 3 -- 2015 in Kathmandu, Nepal; 2016 in Kuala Lumpur, Malaysia; and 2017 in Mumbai, India. Some photos of the ALF 2017 last week, February 10-11 held at The Leela Mumbai Hotel. Below, Baishali Bomjan, a superwoman at the CCS, formally opening the conference on Day 1. Speed networking, a traditional Atlas conference activity where participants introduce to each other one on one for 2 minutes, then move to the next person in front. 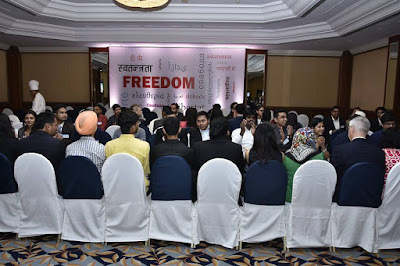 Notice the background, "Freedom" translated in various Asian languages. About 250 people registered, some they come and go. About 200 max at any one time. Our panel on Deregulation, 4pm of Day 1. From left: Vivek, Syed Mizanur, Seetha, Alex, me. My 19-slides presentation, Electricity deregulation and re-regulations in Asia, Philippines in particular. My article in BusinessWorld last February 15 about the ALF17, The public sector is the private sector of those in public offices. It is reposted at the EFN Asia website. 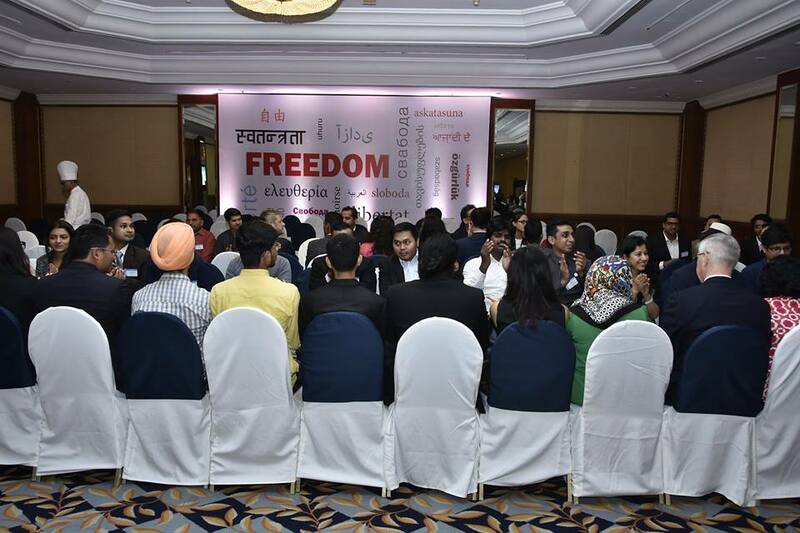 A good keynote speech during the farewell dinner, Day 2 of ALF given by Amit Varma, The landscape of freedom in India. 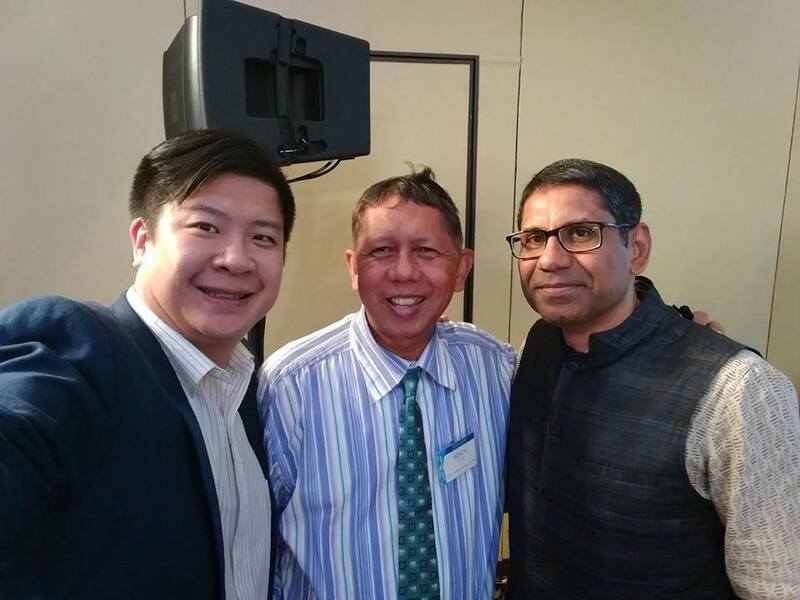 Thanks to Simon Lee for this photo, with Parth Shah, President of CCS. I met Parth for the 1st time in April 2004 during the Mackinac Leadership Conference in Michigan conducted by Lawrence Reed, Joe Lehman, other great Mackinac guys. Andrew Work, Ellen Sandig Cain, Manali Shah were also our batchmates in that great conference. Andrew is represented in this photo by Simon who was 1 of 3 co-founders of the The Lion Rock Institute in HK. 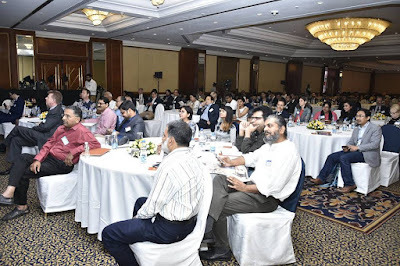 Below: standing are me and Barun Mitra. Seated are Mohit Satyanand and Julian Morris. In June 2005, the International Policy Network (IPN, UK) organized the Global Development Forum in London, a conference in support of more free trade, less aid. It was held 2 weeks before the G8 summit in Scotland where the main agenda was more foreign aid (or simply more govt to govt aid) to "make poverty history". IPN Exec Dir then was Julian, I and Mohit Satyanand were 2 of about 6 speakers. Flashback 2014, EFN Asia Conference in HK. Parth, Andrew and me, batchmates in Mackinac Conference 2004. Barun joined us. I am very thankful to EFN Asia for providing me the travel grant to attend ALF 2016 (KL) and ALF 2017. Thank you Pett, Siggi. My attendance of ALF 2015 (Kathmandu) was courtesy of Media 9/Business 360, thank you Charu; and partly by Samriddhi, thank you Robin. Why is it that we have a lower tax effort (tax revenues in proportion to gross domestic product) than most of our neighbors, and yet have higher tax rates than they do? Consider the following: In 2014, Philippine government revenues as a percent of GDP was 15.1 percent. The corresponding percentage was 19.9 for Malaysia, 18.5 for Singapore, 19.7 for Thailand, 16.5 for Cambodia, and 21.5 for Vietnam. And yet, among our neighbors, we have the highest rates of corporate income tax and value-added tax, and one of the highest for personal income tax. Our corporate income tax rate of 30 percent well exceeds the Asia-wide average of 22.5 percent, with Indonesia and Malaysia having 25 percent, Vietnam 22 percent, Thailand and Cambodia 20 percent, and Singapore and Taiwan 17 percent. We also have the highest value-added tax or general sales tax, with our 12 percent VAT being higher than the 10 percent for Indonesia, Malaysia, Vietnam and Cambodia; 7 percent for Singapore and Thailand; and 5 percent for Taiwan. Our individual income tax has a top rate of 32 percent, against the Asia-wide average of only 28.4 percent. While ours is lower than Taiwan’s 40 percent and Thailand and Vietnam’s 35 percent, it is higher than Indonesia’s 30 percent, Malaysia’s 26 percent, and Singapore’s 20 percent. I commented that it is both a culture of exemptions and a culture of envy. Why would the government attempts to confiscate 1/3 of a company's income in the first place? Because govt thinks that all companies are making money and rich and wealthy and so they must pay as high as possible to the state. Two rules of the politics of envy: (1) confiscate as much as possible from the private sector; (2) many of the latter will be hurt so they will ask for favor/exemptions, that's the time for rent-seeking, extortion, favoritism and picking winners. The central planners, legislators and bureaucrats decide who should be favored and who should not. That is why most central planners would hate low taxes, it removes their arbitrary power who should be given exemption and who should not. The culture of envy is reflected on the tax rates. 30% income tax is envy, why would govt have the "entitlement" to get such amount from the efforts of working people? The culture of exemptions is reflected on low collection rates. The Laffer curve is telling high tax rate-countries like the PH that their 30%, 25% or even 20% income tax rate is not optimal, high on the horizontal axis (tax rate) but low on the vertical (tax revenues). HK collects only 17%, SG about 16% and they have more businessmen, more taxpayers. I wish to see a zero income tax. Like Monaco, Brunei, even Saudi, etc. Their govts earn from many other revenues like selling land (all lands are owned by the state until they are privatized; HK model somehow), selling natural gas or petroleum (Brunei, Saudi, etc models), selling mineral products, etc. Or collect other taxes like VAT/GST, property tax, etc. One beauty of small countries, small governments. they are forced to become efficient, outward looking and more business friendly, less bureaucratic, less tax-hungry. * This is my article in BusinessWorld last January 30, 2017. Many Asian societies have experienced economic and social upheavals and ups and downs in growth and political stability for more than the past two decades. These have been expected because people aspire for improvement and, as a result, they demand change. After going through these upheavals, societies emerge somehow stronger, better, and more dynamic. There are many indicators of growth and development and among them is the ability of the people in developing Asian economies to (a) travel by plane, (b) buy new models of mobile phones for communication and information, and (c) have access to the Web and the Internet. Below are the numbers for selected Asian economies, grouped into three: (1) developing north and south Asia, (2) developing South East Asia, and (c) developed Asia plus Australia. 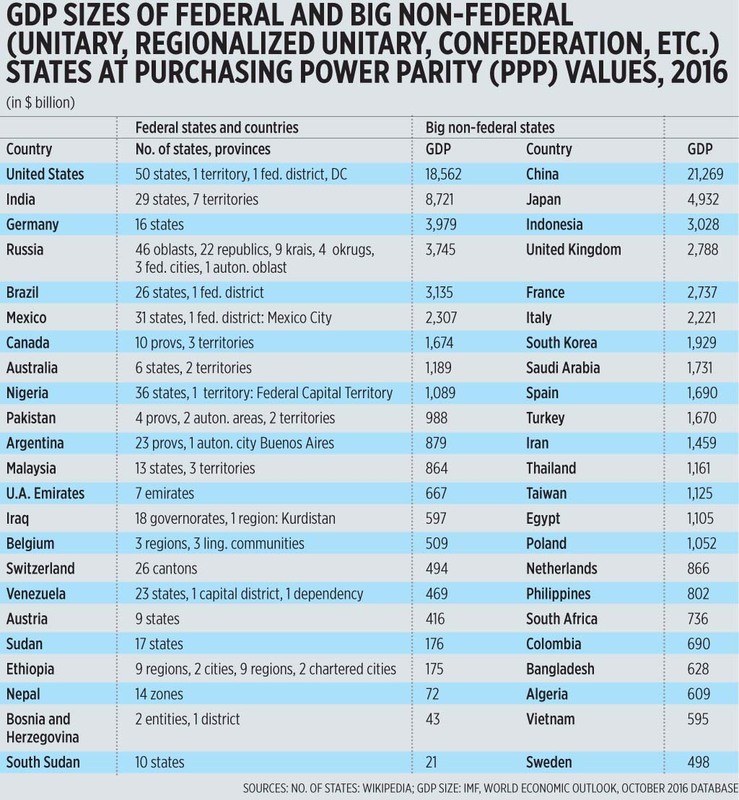 For purposes of brevity, countries with small populations, those three million and below -- Bhutan, Brunei, Maldives, Mongolia -- are excluded from this list (see table). 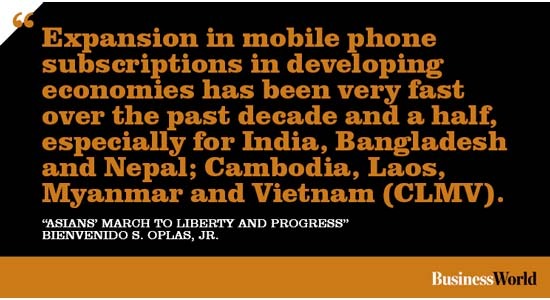 (1) The pace of expansion in mobile phone subscriptions and Internet use in developing economies has been very fast over the past decade and a half, especially for India, Bangladesh and Nepal; Cambodia, Laos, Myanmar and Vietnam (CLMV). As a result, people now can learn new and more skills, or simply be regularly connected with their families, clans, and friends. 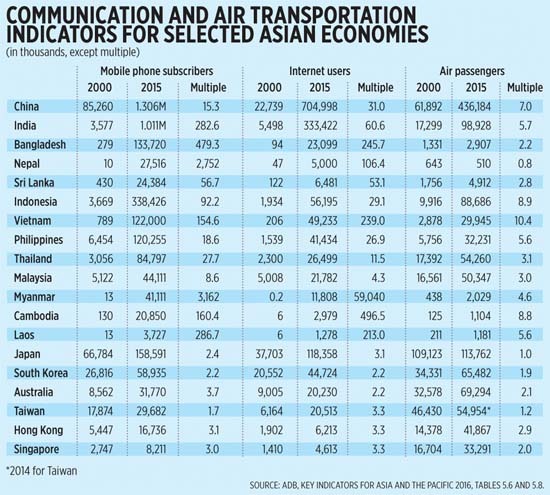 (2) The same pattern can be seen in air travel, as indicated by the number of airline passengers in the region. Indonesia and the Philippines experienced fast rate of growth in this area, along with China, India, and CLMV. (3) Expansion in developed Asia + Australia is muted and modest compared to their developing neighbors. Therefore, Hayek is correct in his observation about human progress. It is the less-planned and less socially-engineered economies that are experiencing faster improvement at least in these three indicators. This is partly because the developed economies are dealing with plenty and rising government regulations that tend to restrict faster growth. 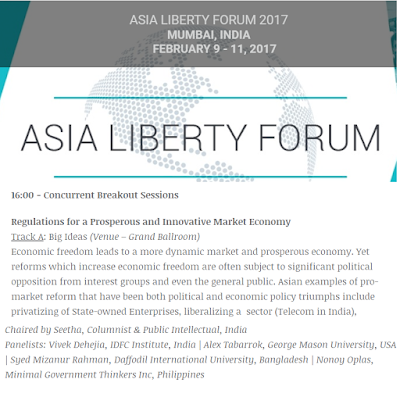 The subject of human and social progress in Asia will again be discussed in the forthcoming “Asia Liberty Forum” (ALF) in Mumbai, India, Feb. 9-11. 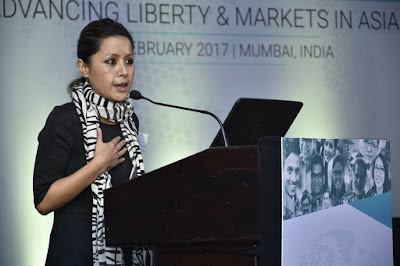 This big international conference will be jointly sponsored by the Center for Civil Society (India), Atlas Economic Research Foundation (USA) and the Friedrich Naumann Foundation for Freedom (FNF, Germany). 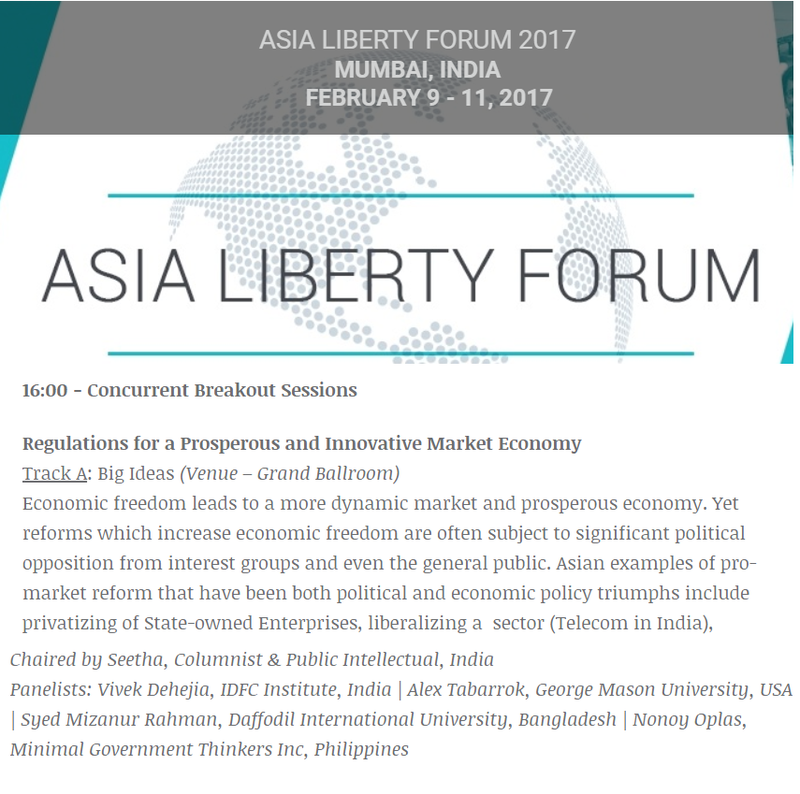 Among the important topics to be discussed will be (a) overview of what’s happening in the freedom/liberal movement around the world and Asia, (b) State, private sector and liberty in a digital world, (c) Regulations for a prosperous and innovative market economy, (d) Property rights as a human right, and (e) Education of choice for all: the role of budget private schools. 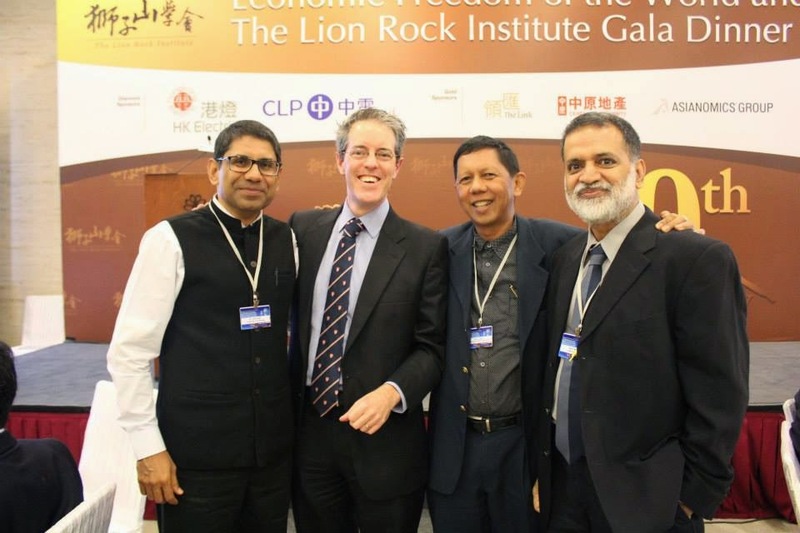 The Economic Freedom Network (EFN) Asia is also participating by sending some of its regular and long-time partners in the region to the ALF. Aside from holding its own annual EFN Asia Conference, EFN is also participating in the annual ALF and the Jeju Forum for Peace and Prosperity in South Korea. 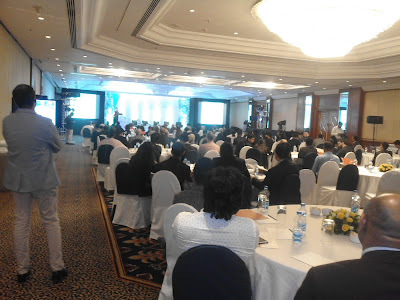 Through continuing involvement in these three important regional and global annual meetings and conferences, EFN Asia is doing its share in securing a more prosperous, more developed Asia through the path of less government planning and more market competition, deregulation, and innovation. New FNF-PH Country Director Wolfgang Heinze delivering the welcome remarks for Day 2. Peter Perfecto: There is a tendency to rely heavily on the business sector, but there is only so much that business can do. Dr. Laveesh Bhandari: There are enough laws that try to inhibit crony capitalism, but they very rarely get implemented. Fred McMahon: The real driver of poverty reduction is not CSR, but economic freedom. Fred McMahon: You cannot find a stable democracy that does not have a high level of economic freedom. "In an economically free society, you only get ahead by making other people better off" - Fred McMahon. Random thought:How can local small and medium enterprises compete if we're pushing for the free market to gain economic freedom? Rising #inequality per se not prob but poverty. If poverty declined but inequal increased, fine. It's not good to stop excellence. Some consider child labor as HR violation but some households, it is necessary. If sole breadwinner is gone, young need to work. 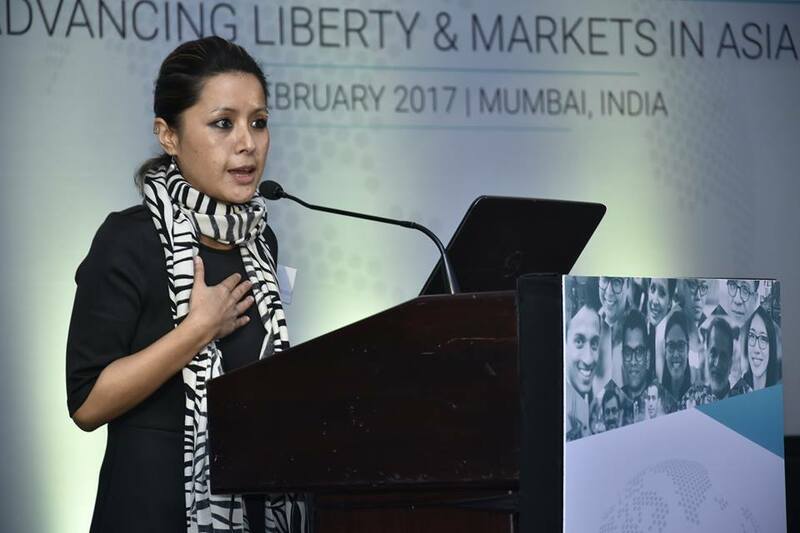 Corporate branding will help global firms stay the course in #HumanRights and econ freedom protection, respecting #ruleOfLaw. VP @lenirobredo was here day 2 #efnasia2016 conf. She talked abt rising inequality. Actually poverty declined, many poor became middle class. 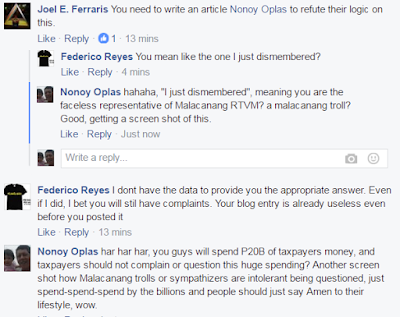 As I posted below about DA's solar irrigation proposal for P20 B next year, one faceless stranger named Federico Reyes debated me in my wall. First he posted the media release of DA Sec. Pinol, then a youtube clip about "solar deep water pumping in the PH", to which I commented that it's nice water from a small hose, good initiative. And this is expected to irrigate rice fields that require thousands of cu.m. of water, good luck. 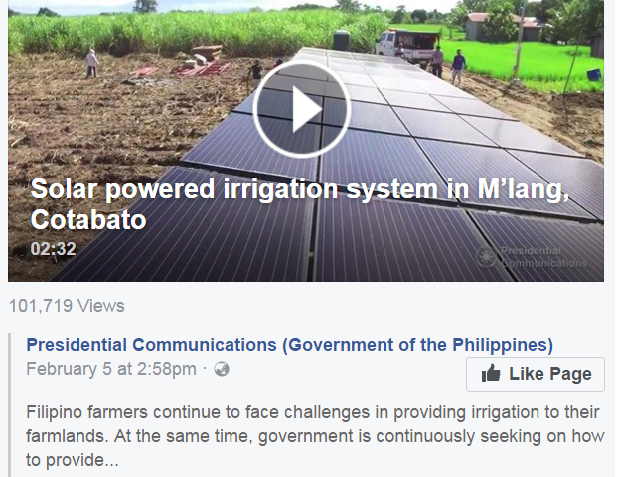 Then he posted this PR from RTVM/Malacanang about irrigation for rice farms. Serious or joking, the background is a sugarcane plantation, and behind Sec. Pinol in the interview is a banana plantation. In short, the Malacanang demo area is not a typical rice village stretching for hundreds or thousands of hectares. It is a sugarcane + bananas + other crops, just a pocket of rice land for demonstration. And this type is supposed to irrigate millions of hectares of rice farms, wow. Huge taxpayers' money at P20 B next year, but actual sustained irrigation output is a question mark. Another photo from Sec. Pinol's fb page as posted by Federico. This should be in another location/area. A solar farm occupying a substantial land area, to irrigate rice farms that economize land area? Speaking of contradiction. A friend Joel commented in my wall, see Federico's reply, then my reply, below. Later he suggested, “set your posts to private if you dont want "trolls" nosing around”. Nope, my wall is open. It attracts friends and strangers; bright minds and non-bright minds; facebook users and faceless users :-) Man, P20B is no joke, it's huge money. If people are going to defend it, they should endure hard questions. Besides, it’s them strangers who came to my wall, uninvited. As usual, BIG government, big spending that require big and many taxes is lousy. Proponents can become onion-skinned when asked with hard questions, they are only interested in big money, not in debate that questions the rationality (there is none, in this case) of their proposals and actions. * This is my article in BusinessWorld last January 24, 2017. Cheaper electricity and stable energy supply are among the important components to have fast and sustainable economic growth. On Jan. 17, the Philippine Electricity Market Corp. (PEMC) sent a press release saying that “effective settlement spot prices (ESSPs) in the wholesale electricity spot market (WESM) plunged to P2.28/kWH for the December 2016 billing period which is the lowest since January 2011. ESSPs refer to the average prices paid by wholesale customers for energy purchased from the spot market.” That is good news as various players using fossil fuel sources like coal, natural gas, and oil, are fiercely competing with each other in generating electricity. WESM was created by EPIRA of 2001. On the same day, the Department of Energy (DoE) posted a “Request for comments on the draft Department Circular entitled ‘Declaring the launch of WESM in Mindanao’ (on Jan. 26, 2016) and providing for transition arrangements.” Another good news because finally, there will be a formal spot market for power producers and electric cooperatives that will guide a competitive and deregulated market, benefitting the consumers. Last Dec. 23, 2016, the Energy Regulatory Commission (ERC) posted a request for public comments until Dec. 30 regarding the petition of three wind developers -- Trans-Asia Renewable Energy Corporation (TAREC), Alternergy Wind One Corporation (AWOC), and Petrowind Energy, Inc. (PWEI) -- that their feed in tariff (FiT) or guaranteed price for 20 years of P7.40/kWh be raised to P7.93/kWh, citing various cost escalations. That was bad news because expensive electricity is never a virtue. I sent a letter to ERC Commissioner Salazar arguing that they say No to the petition. And last Dec. 6, 2016, the ERC published in a newspaper a National Transmission Corp. (TransCo) petition asking for a FiT allowance (FiT-All) of 22.91 centavos/kWh starting January 2017. That’s also bad news because FiT payments by consumers keep rising fast. From an introductory price of only 4 centavos/kWh in 2015, became 12.40 centavos/kWh in 2016, and almost 23 centavos/kWh this year. Expensive electricity is the hallmark of renewable energy favoritism anywhere in the world. Understand that in my previous columns, it was shown that the main beneficiaries of expensive electricity from renewables in the Philippines are not ordinary firms but huge companies: the Lopez group (EDC Burgos wind) and Ayala group (Northern Luzon UPC Caparispisan wind, and Northwind Bangui) who got P8.53/kWh FiT and combined revenues of about P4.3 billion in 2015 alone. Let us check Germany’s renewables output. The chart below is for the last three months, Oct. 23, 2016 to Jan. 22, 2017. 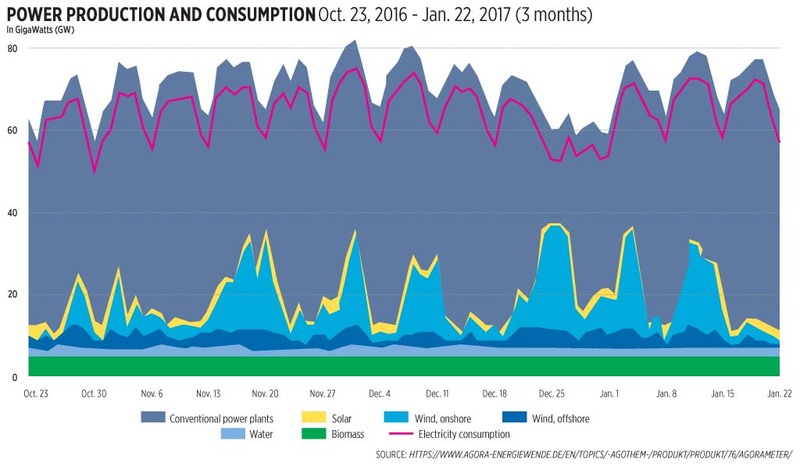 Last Jan. 8, its total electricity consumption was 57.4 GW and here are the renewables output that day: solar 0.23 GW, onshore wind 1.53 GW, and offshore wind 0.39, or a total output of only 2.15 GW from these three renewables (see chart). A total of only 2.1 GW was generated by solar-wind sources or only 3.7% of 57.4 GW power demand. If Germany relied solely on wind-solar, that would have meant massive, large-scale, and catastrophic blackouts. Germany of course was saved by the power plants that it wants to banish someday -- fossil fuel sources like coal and natural gas plus nuke power, within Germany and from energy imports from its European neighbors -- and which it kept running. So we did not hear or read such massive blackouts in Europe’s biggest economy. The Joint Congressional Power Commission should consider introducing a law in the future that will abolish the RE Act of 2008 (RA 9513). Penalizing the energy consumers to further enrich the favored and crony firms in renewable energy is wrong. This news report today caught my attention. It smells like a huge racket and waste. On average, it takes 1.5 to 2 hectares of land to install 1 MW (or 1,000 kW) solar capacity, of which only around 180 kW of actual electricity output because of low capacity factor, only 18%. 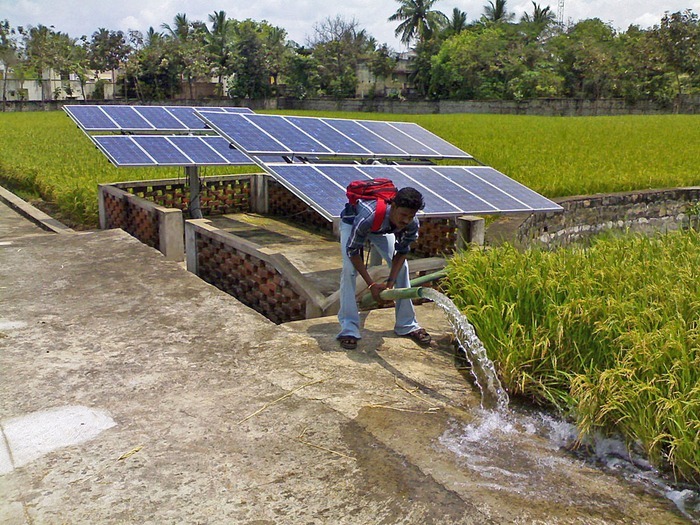 So DA plans to convert some rice land into solar farms to generate very little solar power? Lousy. 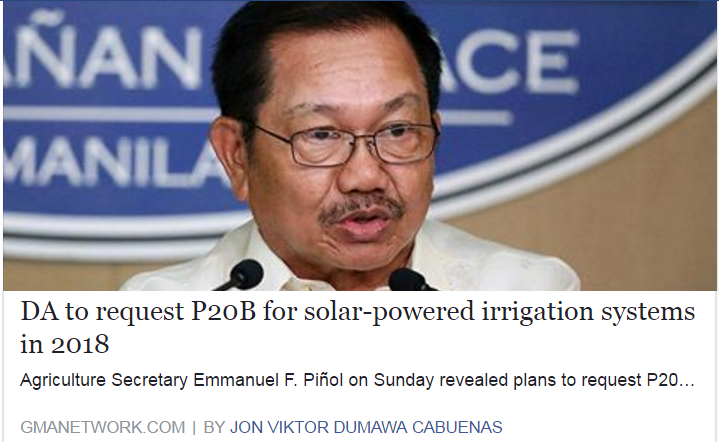 And P20 B of taxpayers money for solar? Very similar to $500 M ADB loan (nearly P20 B) for 100,000 e-tricycles nationwide, which new DOE Sec. Cusi later has junked and saved future taxpayers of another source of huge public debt. Pumping water from below the ground is energy intensive, you normally need a big and powerful water pump to draw water from below the surface. And solar is very intermittent. Power output is fluctuating by seconds, or by minute at least. Just a band of clouds passing by can significantly bring down solar output. Without a battery or voltage regulator or similar instruments, power fluctuation from a solar is a perfect formula to damage and shorten the lifespan of an appliance or an engine. 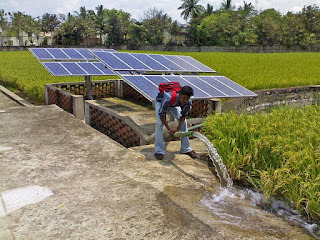 A friend posted this photo of solar irrigation. It seems a no-brainer. Irrigation water level is almost at same level as the rice field, then very little energy would be needed to divert the water. The quicker, less costly option is to raise the dam's or water impounding's height to divert the water anywhere you want it to go. I think about 90% of all irrigation system in the country use surface water via dams, small and big. Farmers economize on land space. That is why the pathway between the plots is narrow, only single file of people can walk. Now the DA's plan is to allocate a big area for solar farm. 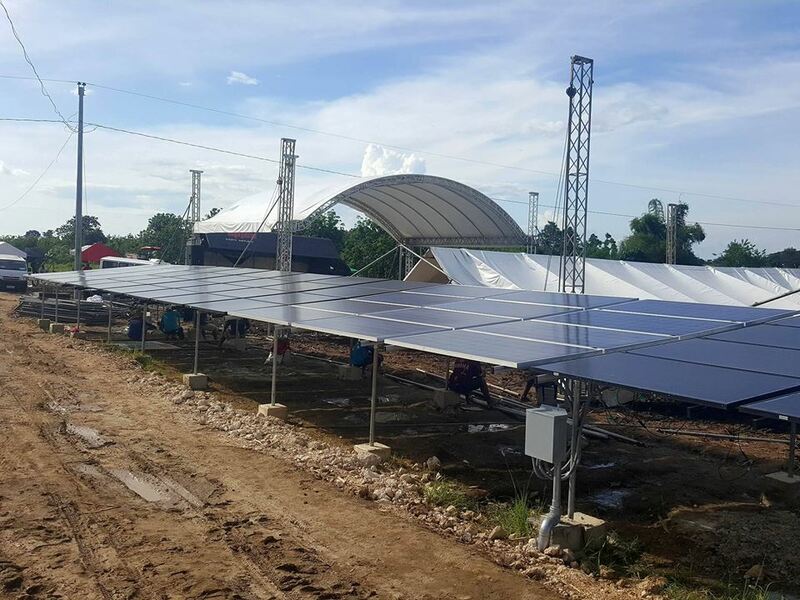 Again, 1.5 to 2 hectares/1 MW of solar installed cap, and actual electricity output is 180 kW, for 2 hectares of solar farm. Wasteful use of land. The best, most economical irrigation system is to use surface water, not underground water, via dams and water impounding projects. Have more dams, more water impounding, let the law of gravity work on the water, little or zero need for electricity or irrigation pump/engine or solar. Every year, every single year, zero exception, the problem of many people in the country is too much water, too much flood, water is not a problem. The problem is that huge volume of water is not stored and impounded, they quickly go down as flash flood and wreak havoc downstream. For P20B in a single year, that can create many small and medium-size dams nationwide. When I posted this in my fb wall, a number of strangers came and commented on my wall. Some of them do not like public criticism of public pronouncements of public officials who intend to use public tax money. For them, people should just say "amen" and accept the tax-tax-tax policy of the government to fund even idiotic proposals. If the news headline is "DA to request P20B for more dams and water impounding projects in 2018", I would clap it, applaud it. There are at least 3 advantages of this option: (1) reduce flash flooding during the rainy days and months, (2) release some water when the rains have stopped, (3) have small fishery area or swimming pool for the locals. No need to pump water from below the ground because surface water is too much, too many floods during the moonsoon and typhoon season. Back in 2004, I saw some of Japan's mountains from a plane, I saw one river with about 7 dams on various levels; another river in another mountain which have about 5-6 dams, and so on. So during heavy rains, potential flash flood is minimized because the water is impounded on those 7 dams. When the rains have stopped, there is option to release the water to allow more space for the dams to take in excess water in another round of heavy rains. Or to hold it there for mini-hydro power, or irrigation, or for fishery and recreation. We only have few dams in the country. Dams need not be huge and gigantic and contain several million cu.m. of water. They can be small, even micro size if regular water intake is small. 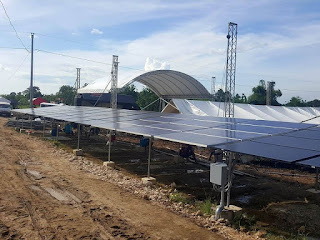 Perhaps some groups or companies just want to be solar pushers (no different from drug pushers) and enjoy the P20B of tax money for a single year for this project alone. Labels: Department of Agriculture, solar energy.